A targeted list of email subscribers doesn’t just happen overnight through luck; it has to be built one subscriber at a time and can be a long drawn out process if you don’t know how to go about it. You are looking for a responsive list that wants to hear from you on a regular basis and values the information you provide. 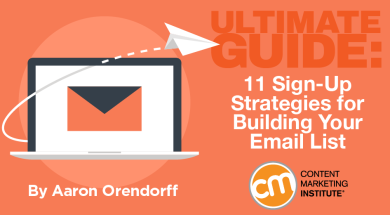 “The truth is that building an engaged and sizable email list is hands-down the most long-term, profit-generating investment you can make.